Drones are fun toys. They are great for flying around and capturing images and videos of family events. However, with the recent advances in drone technology, the drop in price, and the introduction of Drone2Map for ArcGIS, you can now put that same consumer drone to work for your organization. Drone2Map for ArcGIS is a desktop app that takes geolocated pictures from drones of all shapes and sizes. The app detects camera and sensor parameters and then intelligently applies appropriate defaults and creates professional imagery products, such as orthomosaics and 3D meshes—in minutes—not days. The photogrammetry engine in Drone2Map for ArcGIS is powered by Pix4D, an industry leader in professional image processing software. 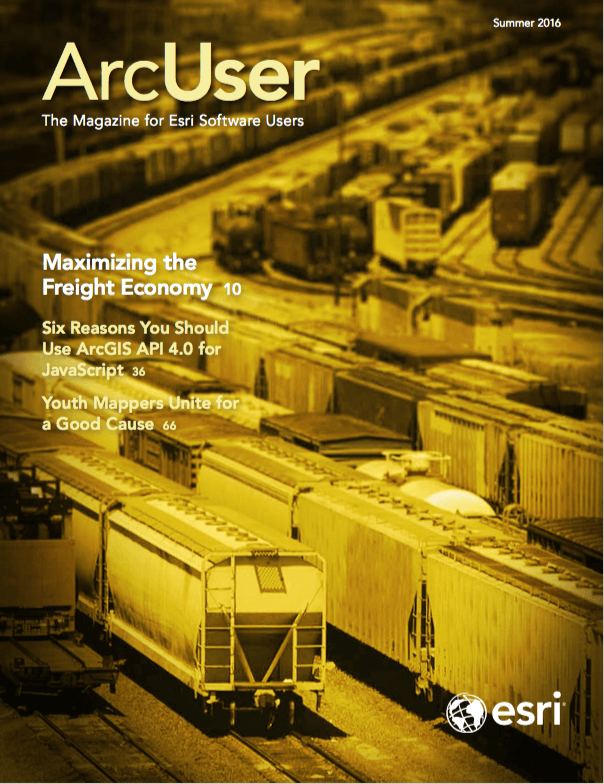 These products can be used for visualization and analysis in ArcGIS. Land analysis, infrastructure inspection, and monitoring are just three of the many ways this imagery can be used in ArcGIS. Other areas that can benefit from Drone2Map for ArcGIS include defense, law enforcement, precision agriculture, forestry, disaster response, asset and facility management, transportation, insurance, real estate, city planning, and mining. Remotely sensed imagery has been used for years to perform land analysis. Traditionally, these images came from satellites, airplanes, and helicopters. While large areas could be captured, the introduction of drones and Drone2Map for ArcGIS allows microgeographies—small, specific locations such as subdivisions—to be flown, processed, and analyzed in the same day. A key industry leveraging Drone2Map for ArcGIS is agriculture. Farmers need the ability to apply remedies to their crops immediately when a problem is detected. Traditionally, processing imagery is a specialized operation that takes a long time. Waiting days or weeks for imagery to be collected and analyzed can mean an immediate loss of revenue. Farmers can now deploy drones to collect imagery that detects the health of their crops and see that imagery the same day it was flown. They do not need to know anything about imagery or formulas to create special imagery-derived products. Drone2Map automatically detects if the camera used to collect the imagery is capable of creating imagery products to assist them in analyzing their crops. Drone2Map will automatically create a crop health map that allows farmers to visualize areas of their fields that are underperforming, allowing them to apply treatments before it’s too late. Critical infrastructure keeps our communities running, providing power to our cities, water to our homes, and many other amenities that we take for granted. The teams that maintain the infrastructure that power these services put themselves in harm’s way through routine inspections. To ensure critical infrastructure continues functioning properly sometimes requires that teams be in perilous situations. Drones offer a unique alternative to climbing towers or hanging out of the side of a hovering helicopter. Quad copters can be deployed using autonomous flight planning and control to collect images of infrastructure at angles that are too risky to get to in person. The oblique images captured from these drones are not ideal for creating products that are draped onto a map and mashed up with other datasets. Instead, these images are best visualized in a viewer that properly orients them and allows you to interact with a map. Drone2Map for ArcGIS has the capability to process oblique imagery and display this imagery in a viewer that allows you to interact with the map to quickly orient yourself around the object being inspected. Soon Drone2Map will be updated to add annotations to the images to quickly make notes about issues and share the information with others in your organization. Monitoring for change is a powerful capability to make informed decisions within the time window to effect change. Many industries monitor change. Construction sites monitor development to gauge progress and inform stakeholders. Environmental agencies monitor change in vegetation to understand habitat degradation of key species. Drone2Map for ArcGIS produces 2.5D and 3D datasets that speed monitoring features. Digital surface models (DSMs) provide a fast and accurate way to monitor stockpiles. Whether it’s gravel or wood chips, Drone2Map produces highly accurate surfaces for performing analysis. 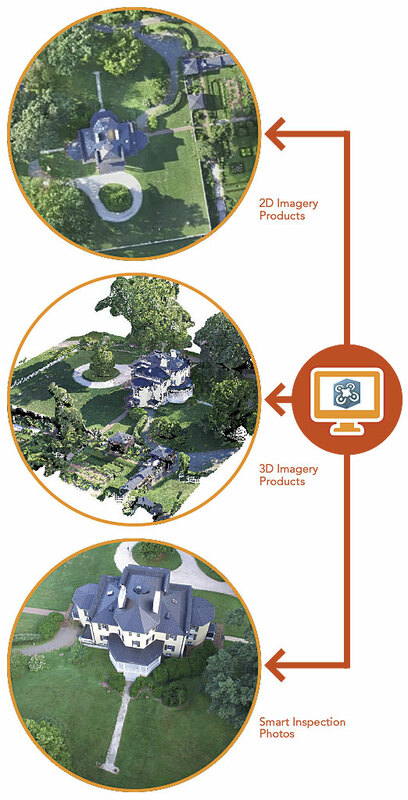 In addition to DSMs, Drone2Map produces dense point clouds that allow feature extraction and 3D analytics. Drone2Map, coupled with ArcGIS for Desktop, provides a powerful platform for monitoring change through drone processing and analytical capabilities.